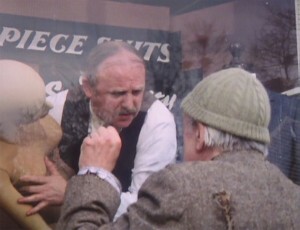 Retroactively I often wondered if little Tommy Naylor was Sherbet from First of the Summer Wine. Oh, that’s an interesting thought. I haven’t seen ‘First of’ since it was broadcast… is it actually mentioned that Sherbert died in the war? I think I’ve always assumed that he did, for some reason. That’s an interesting idea! Who would have played him? I could see Bob Grant from On The Buses in the part. You see him in EVERY part. You know the Woody Allen film, Play It Again Sam? With him haunted by Humphey Bogart at every turn, giving him romantic advice? That’s what my life is like, but it’s Jack from On The Buses instead. I never thought that far ahead. Tom Baker perhaps or would he have been too young? Needs to be someone quirky as Sherbet wasn’t a straghit guy. Were market forces really at play with the BBC that far back, with regard to Bell submitting a lower quote than Lotterby? Sydney Lotterby may have successfully succeeded in snatching back the series, but I wasn’t going to let him have the feature-length film without a fight. It was mine: it was I who had persuaded the BBC to commission it, and I couldn’t see why I should step aside to let another Producer make it, no matter how senior he may be. It was another problem for the front office: how can they tell an Executive Producer that he can’t have the coveted Last of the Summer Wine film to make? The answer was found quite simply: have both Producers budget the film. Although the film was quite demanding of time and effort, I said that I could make it in four weeks. Sydney’s estimate was considerably longer than that. Apparently so… it’s in Alan JW Bell’s book. Along with the interesting revelation that it was Bill Owen’s suggestion to adapt the original novel into a TV episode. Bugger, he beat me to it! Oh, well. Anyone fancy a Golden Rail holiday in the Channel Islands? I’m a heretic. I’m not struck on the vocal them tune. But that’s a personal thing: I never got on with the Mike Sammes Singers, who always sounded a bit too close to Cliff Adams’ deathly Sing Something Simple, the sign the that Sunday afternoon was moving on apace was almost over, save for the charts on Radio 1. But this is utterly, utterly northern humour. I think all the funniest “northern” stuff is shot through with melancholy like writing through a stick of rock. There’s always a bit of pathos lurking in amongst the laughs. I think Clarke’s amazing at that kind of thing: life’s much too arduous not to laugh at; if you don’t it will drag you under. and that mordant quality is a feature of his work. I love the fact that Sam knows he hasn’t got long, it’s all very matter of fact: planning where his ashes will go, but not wallowing in it. Later on in the show’s run, I think the dialogue gets a bit too knowingly self-aware and veers towards self-parody almost, but here, it’s so beautifully natural and easy. And there are lots of prototypical characters for people we see later on. It looks like Sybil taught Pearl all she knows about marital froideur, for a start. 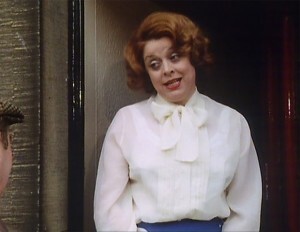 And yes, there’s Lily (and isn’t Linda Barron great at those matronly, sort of “mumsy vixen” roles? ), the template for Marina, though it’s true she’s certainly more obviously sensual. There is one little touch I love. 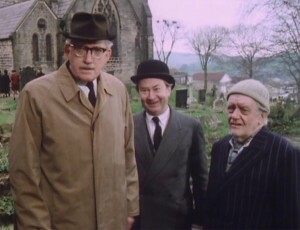 When they first see Sam’s corpse, notice that Clegg and Compo are horrified and a bit repulsed. Foggy is the one who calmly goes to check the pulse. But I don’t think he has seen as much death as he lets on – look at how quickly Foggy lets go of Sam’s wrist when he knows he’s gone: like burning your fingers on a hot griddle. So Foggy, and a perfect little thing from Wilde to do it. But you’re right, this is the sort of episode you could pick apart for hours. Great screen writing, great direction, great score. What’s to dislike, eh? That’s a great spot, Darren! Foggy is a fascinating character; as clearly most of his ‘man of steel’ demeanour is a Walter Mitter-style facade… but, despite that, he HAS actually served in the army, presumably during the Second World War. So there’s a kernel of truth to it all. But yeah, Wilde is a consummate actor, and his performance is full of glorious, thoughtful toucheds like that. And yes, Clarke is virtually unbeatable when it comes to Northern pathos. How do you think he compares to, say, Alan Plater? Or Clement and La Frenais? All truly great writers, but I’m not sure I can imagine any of them coming up with the ‘Little Tommy Naylor’ scene. I don’t know, tough one to call. I’ve just watched the Alan Plater Play for Today, The Land of Green ginger, that Mike Harding shared on his fb timeline recently because it has a lovely soundtrack with the Watersons on it. I think Plater, especially in the Beiderbecke stuff, can be just a bit more whimsical, but there is a hard edge beneath it sometimes. I think Clarke writes about a north that’s not there now, or even if it was is filtered heavily through nostalgic eyes (though nostalgia isn’t always cosy, remember that the etymology of the word talks about home and pain). I think he has that more so than the others. It’s almost like a hyperreal version the past in some ways, with many of the blurred lines of memory sharpened by his craft. I think Clement/la Frenais, especially in Porridge and WHTTLL are more cutting in social commentary. Anyone looking for the roots of Thatcherism just has to look at Bob Ferris and his move into suburban upward-mobility, and Terry, the last vestige of working class who were soon to be left behind by it all. All of them marvellous in their way, of course. Yes, absolutely. I was just interested in their contrasting styles. In theory, I should be overwhelmed with North-Eastern nostalgia by WHTTLL… but oddly, I’m not. It’s a brilliant, brilliant series, but it doesn’t transport me to my childhood. But Clarke’s writing – espcially Summer Wine and Open All Hours – does. Maybe because I grew up in a town that had much more in common with Holmfirth than Newcastle-Upon-Tyne; mainly agricultural (back then anyway, these days it’s all posh bars and designer clobber), on the brink of the moors and with a real rough-hewn, rural charm. But it’s the people and the language, too. Virtually everyone in 1970s Summer Wine reminds me of people I knew as a child; all those tongue-clacking old women and embittered, broken-backed blokes, kicking around allotments after fifty years working in a factory. I see them in every single episode, and Clarke has got them all spot on. In fairness, WHTTLL could be set anywhere, really. It just so happens that Newcastle was going through all that T Dan Smith upheaval, and the jewel of consumerism that was to become Eldon Square was just being built, so there was something to hang it on. The likes of Bob were out buying houses up in the swish new bits of Marton, and even the newly built Marton Manor, not hanging around on the council estates, so we didn’t see much of that either really. On the other hand, you can also get that idea of terroir, like the wine growers wibble on about, which WHTTLL doesn’t have. LotSW has it: it simply could not be anywhere else, though it’s the oddest things that you connect with. For me, it’s the headscarves and the pinnies. Thinking back to the 70s and 80s, the headscarf was a de rigour accessory for any lady of a certain age wandering around Middlesbrough Town Centre, buying their tins of St Michael chicken supreme. Mam had one, and she was only in her 30s at the time. She was terrible. Every time we went into town she demanded my Dad and I put smart clothes on, as she didn’t want “showing up” if we bumped into anyone down there. Now, you can wander round your local Tesco in a onesie. O temporal! O mores! There’s one early episode of Summer Wine with a couple of really grubby-looking kids (with incredibly greasy hair) sitting on a doorstep in the sunshine, and that single image transported me to the mid-1970s for some reason. I can’t remember the episode, but I definitely commented on it in our write-up. No kids have hair like that any more. The result of a weekly application of Vosene, under extreme duress. 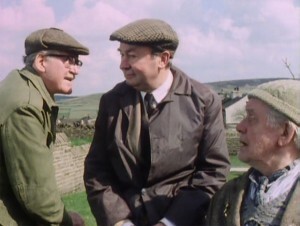 I was going to remark that it’s curious that Summer Wine never touched upon the 1970s ‘post new estate’ housing boom, but then realised that – in all my visits to Holmfirth – I can’t remember actually seeing any! I think Vosene is one of the strongest smells of my childhood, along with home baking and Tyne Brand tinned Beef Stew (for some reason this always brings back memories of eating tea on a Saturday evening accompanied by the short-lived TV version of Logan’s Run). Oh, and Pears carbolic soap. Then we started getting all flash and buying Shield for a bit, with its “marbling”, and Imperial Leather, which always annoyed me because the label would always come off and end up somewhere in the bathwater. Can you still get Vosene? I’m very tempted, it would be a big Proustian rush for me, too. See also: Matey. You can, though the bottle has changed now. It’s not that horrible green that made it hard to tell whether you were buying shampoo or industrial weed killer. Everything is. Apart from cars – the only things on the planet whose colours have become more boring. 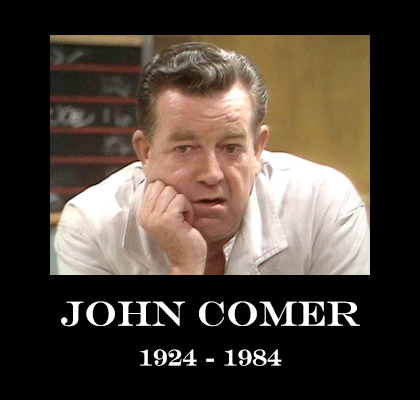 Plus, bang on about John Comer. He’s stunning. Absolutely impeccable comic timing, every single time. I’d love to talk to any relatives of John Comer, if we were able to track them down. His career path was pretty extraordinary and I really want to find out a little more about the actual man. The same goes for Joe Gladwin. You can’t leave it there! Who did you cast yourselves as? Well Neil thought I’d be a good Compo and he had desires on Clegg, I could see him as Clegg. He has that wistful philosophical vibe about him. But I fancied being Blamire or Sid. Just a thought on Clegg’s decision to go and confess all to Sybil. I wonder if this is a reflection of the book reflecting series 1 and 2 where Clegg was much more proactive. Good point! Clegg is downright confrontational in some of those early episodes, and can be a right grumpy bugger at times. Is it after Blamire’s departure that his ‘I’m not getting involved!’ persona comes to the fore, then? That would make sense, I guess, as a nice contrast to Foggy’s full on, go-getting attitude. While I think he slowly becomes less confrontational as the Foggy episodes progress, in three through five he is still a bit like his early persona. The “not getting involved” aspect I think really takes form when Seymour arrives on the scene. I remember this from the repeats in the early 1990s (I’m sure it was shown at least a couple of times around then as I definitely saw it more than once). It was interesting reading your comments about filming as they explain why it always felt a little different, not just that it was from 10 years earlier. 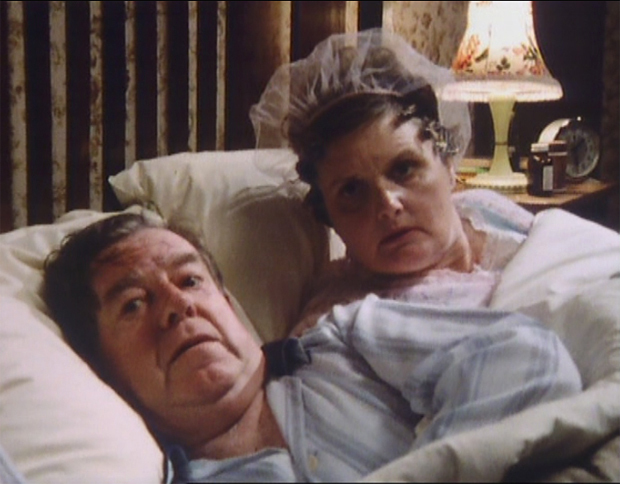 It was my first time seeing Sid (I probably started watching a couple of years later) and that was quite strange as I never realised Ivy had been married. My memories are of it being a great episode, as you say, even if the second transportation of Sam seems a little contrived (but an essential part of many programmes as you point out). I now want to watch it on YouTube! Have you used the fabulous BBC Genome site? You can search for Radio Times listings for any BBC TV or radio show, going back to 1923. Although it’s seems likely it was repeated at other times, and just not listed as ‘Getting Sam Home’… as, amazingly, even the original 1983 screening doesn’t use that title anywhere! Interesting question, then… when DID Getting Sam Home actually start being called Getting Sam Home? I would imagine that the episode name must have been on the original script drafts, otherwise where would the name even come from? It was probably there at the very first read through. One other little thing: the metadata from genome is not entirely ‘clean’ (and lots of it has probably been imported without human intervention), so just because the title isn’t recorded, it doesn’t mean it doesn’t have the title at this point. We’ve got the original 1983 Radio Times, though… scanned, above! There’s definitely no mention of ‘Getting Sam Home’ on it. You HAVE got me looking up Battle of the Planets transmission dates now though, you bugger. Is Monday 3rd September 1979 the earliest one? That was the first day of the school year, too. Two days after Destiny of the Daleks Part 1 was broadcast. What have I done with my life? True, but even there you can see significant divergence between the original paper stuff and the digital. And while we’re at it: Maxton Beesley. That’s a name and a half, innit? Though he did get a bit more informal by the time he got to Hotel Babylon. It’s TV heart-throb Max Beesley! Bloody hell! I’d NEVER realised. How old was he in this, then? Actually, I’ll answer my own question. He was 12. Surely the only Last of the Summer Wine cast member to have played in Paul Weller’s band? Unless Juliette Kaplan is keeping something really close to her chest. Although isn’t Colin’s mate the lad in the boiler suit, who stakes a claim for all of Sam’s tools from the shed while they’re shifting his coffin out? He’s not 12! Got it! Max ‘Hotel Babylon’ Beesley is indeed called Maxton… but the Getting Sam Home Maxton Beesley is his Dad! I’d not searched it in that way before, but it did help me find a particular book which had been on Jackanory in the early 1980s and it had bugged me for years what it was called. Took a while as I had to via date! No idea when the other repeat was, but I think it would have been a year or so either side. You can’t leave us in suspense, Hudson… what was the book? Sorry, only just seen this. It was Mr McFadden’s Halloween. We saw the first 4 parts but were out for the last, and was pre video and iplayer of course so you just accepted it. But for whatever reason I always wondered what book it was. On another topic you’ve brought up before it was interesting as an early 1970s Halloween story in south Scotland which included kids going door to door and with turnip lanterns. Ah, fascinating! Yes, I’ve been told by SO many people that knocking on doors for Halloween just didn’t exist until we imported it from the USA in the 1980s. But I definitely did it from around 1977/78, and it was by no means a new thing… it was something that my parents were familiar with, as were the people whose doors we knocked on, as they all gave us a few pennies! I think it might have been a Scottish/Northern English thing… memories of it get less and less common the further south you go. In the eighties we did the same (I’m from Durham), making turnip lanterns, and knocking on doors asking “penny for the lantern”. We never dressed up, and it was always just going to houses of friends, but it was definitely a thing back then. Nothing on the scale it is now of course, and we were always far more interested in the fact it was less than a week till bonfire night. have you got a penny for hallowe’en? Yep, exactly the same experiences (and rhyme) for me as for both of you. We’re weird, Pagan people up North. I’ve mentioned this on the radio before, and had listeners claiming to have done it around Teesside in the early 1960s. 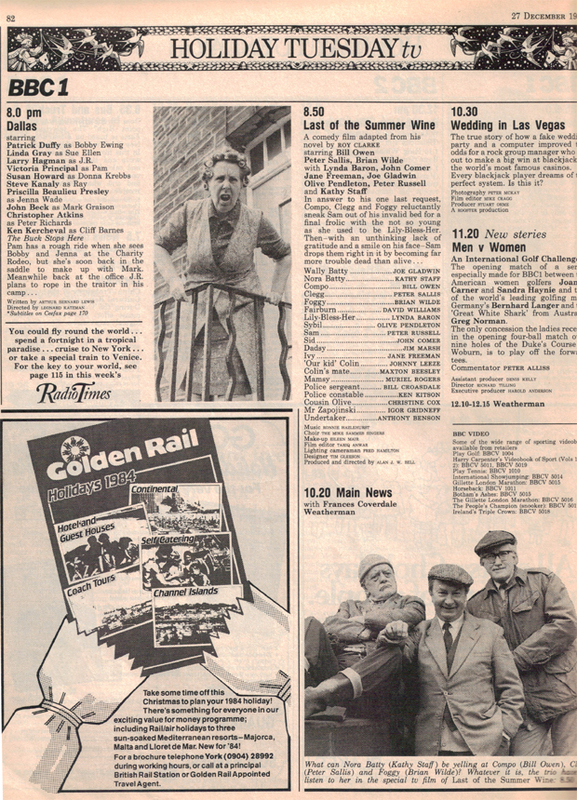 The first repeat in 1984, was listed in the Radio Times as “Getting Sam Home”, but that title definitly doesn’t appear anywhere onscreen or in the RT for the original showing. There’s another episode later (now referred to as Barry’s Christmas) which also doesn’t have an onscreen title, and goes untitled in the RT too. Getting Sam Home was most DEFINITELY repeated in very early January 1993, still over the Christmas period. I taped it off the tv. Probably the first Sunday of 1993 I would say. Strangely, it was repeated just over a year later in 1994. I’m certain there was a repeat showing during the 80s. I’m convinced there was a trailer for a showing which had Tears for Fears’ ‘Everbody Wants to Rule the World’ OR ‘Everybody Wants to Run the World’. Now these songs are basically the same (changed for a major sporting event I think), and are from 1985 and 1986. However, Genome doesn’t list a showing for 1985 or 1986. I think there was a listing for 1984. Maybe there wasn’t a showing then, perhaps it got cancelled, perhaps there was an unscheduled showing in 1985 (or 1986) instead. I don’t know for sure – it was 30 years ago. 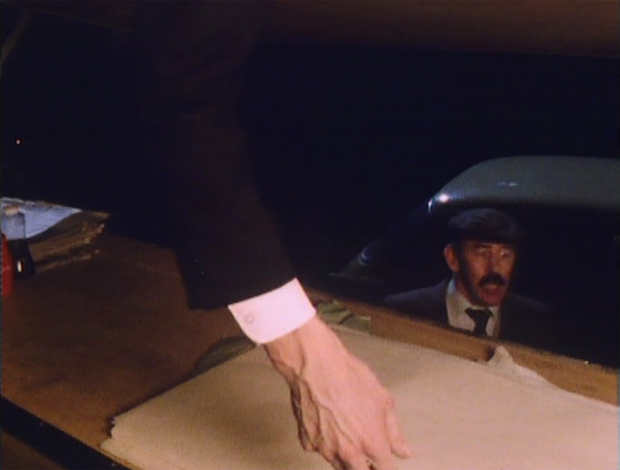 However, there was a 1986 BBC Video release. Very rare, didn’t seem to available for all that long – but crops occasionally on e-bay. Video, ‘Last of the Summer Wine’. BBCV/B 7028. £29. 95; and the feature-length film special video, ‘Last of the Summer Wine: GettingSam Home ‘. BBCV/B 7055, £24.95, from retailers. Thanks, that’s interesting! It’s possible the 1985/86 screenings just didn’t use the title ‘Getting Sam Home’, so might not show if you’re searching for that phrase on Genome. Yeh, I ended up searching for members of the cast (Olive Pendleton and Peter Russell). I’m pretty sure that’s all the showings that were scheduled, though of course it may have been shown as a change to schedules, which wouldn’t show up. I eventually ended up searching for Brian Wilde and Bill Owen together which threw up a couple of intriguing appearances that I wish I could find, such as a Val Doonican show from 1979 which featured Bill Owen, Peter Sallis, Brian Wilde and Jane Freeman, and a show called “The Kids International Show” in 1982 which had Bill, Peter and Brian (along with the Three Degrees). It also showed that 1983 was the year to be watching LotSW on BBC1. You had 2 showings of series 7 (in Jan-Mar and then Nov-Dec), 2 Xmas specials repeated in March (Whoops repeated the week after S7 finished) and May (All Mod Conned), a repeat of Funny Side of Xmas in August, and then Getting Sam Home at Christmas. A repeat of the Funny Side of Christmas in August?!?!? I thought you were joking here, but good grief… you’re right! It was repeated on Monday 22nd August, primetime BBC1! That’s INSANE. The Val Doonican thing from 1979 is an interesting story, I think… I’m sure I’ve read that that sketch was recorded, and scheduled, but never actually transmitted on the finished programme – it was pulled at the last minute after contractual issues. Possibly the fact that it wasn’t written by Roy Clarke? I’m honestly not certain, but I’m 99% sure it wasn’t shown in the end. Ha, well found! My memory is more reliable than I thought! And yes, Kinda is an incredible piece of TV. I actually remember watching that repeat of it, as I went out picking blackberries with my parents, and was back just in time to see it! Bizarre the things that stick in your mind. Didn’t make it clear the Tears for Fears track was dubbed onto the trailer. I do think this is one of the finest episodes produced. I agree that if it had been released theatrically, it would stand above virtually all other sitcom spinoff films. I like the differences between this and the series, the voiceovers are superb insights into the thinking of the characters (I love hearing moments like Foggy complaining about Clegg carrying the Bike wheel, or worrying about being put in the Chamber of Horrors next to Burke & Hare). I think you can see echos of Blamire in the characterisation of Foggy in this though, his comment early on refering to Fairburn “Well, it’s none of our business why he’s here, which i find makes it rather more fascinating” is one example that to me, just sounds more Blamire than Foggy. I think the drunkenness is another example, in the first couple of series Blamire drank as much as Compo & Clegg (that lovely scene at the end of Pate & Chips where they’re passing the bottle around for example), whereas Foggy, although often seen with a drink in the pubs, always seemed to me to be more sober in attitude to drink. Did you notice that the dialogue in the precredits sequence (Who’s Steering…etc) was lifted from the soundtrack to “A Bicycle Made for Three”). I’d never noticed that! Brilliant spot, thanks Jakob. I wasn’t looking forward to this one. I watched it on the DVD, can’t say if I’d seen it on telly. There’s two basic problems I have which work against it (I don’t much care for Lynda Baron either, but she does the best she can with what she’s expected to do). The structure is the first problem. The second half is pretty much an exact mirror of the first, except that Sam’s dead the second time round. 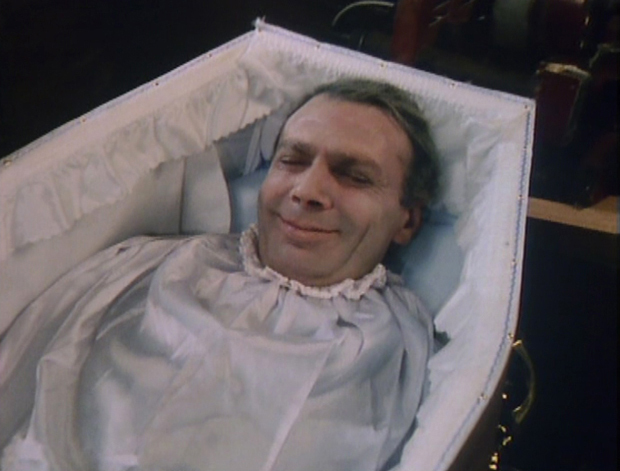 Farce is a tricky style, and maybe I’m getting old, but lugging corpses around is rather more macabre than this jolly little sitcom usually manages. Which brings me to the other problem – poor John Comer. There are plenty of illnesses where the sufferer loses control as it is; to watch this suffering is generally unbearable. To see John present in body alone is somehow a lot sadder than the storyline situation with Sam. Also, I don’t think Tony Melody is that accurate (I dread to suppose there were ever plans for this arrangement over a series). I appreciate it’s a makeshift solution, but to me, it doesn’t work. It’s not quite “jumping the shark” time, but this special is certainly a bad omen for the future. I did put the DVD in again last night just to check, but I don’t think I’d change anything of what I wrote – though Sid’s “Purple People Eater” chip van probably deserves more mention – the comedy vehicle which is in such bad condition that you wonder how the heck it starts, and how long before it conks out. There is a little musical device at the start of the film where the trio appear one by one round the side of the building into Nora’s yard. A note is played for Foggy, a slightly higher one for Clegg then another slightly higher as Compo peers through Nora’s washing which is drying on the line.The three notes are then played together. I had watched this episode umpteen times before I noticed it yet I think it’s a brilliant detail, almost as if each character has his own theme tune. I hope you manage to do more films as I’ve enjoyed the ones you’ve done so far. Getting Sam Home is in my opinion the best Film ever to be made from a sitcom. It’s also the best of LOSW. The way it was shot, the dialogue, the music, everything is perfectly crafted. Loved reading your tribute here and watching the film you made. I think unfortunately the series reached a pinacle in the 80s and it was a slippery ride in a bathtub downhill from there onwards! Dare I say it went on far too long and became a pale shadow of it’s former self. I think the strength of other comedies from the period were that they ended when they did. Classics such as Porridge and the Likely Lads didn’t get stretched beyond their sell by date and the characters remained at the height of their significantly. 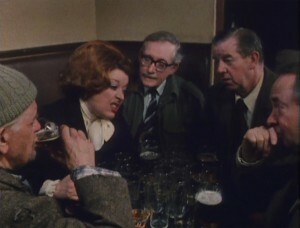 LOSW will always be Foggy, Compo and Clegg to me alongside Wally, Nora, Sid and Ivy in the same way Coronation Street will always be Stan, Hilda and Eddie etc Strong characterisations of their time and place forever part of the fabric of the shows they elevated to classic status. At around the same time as Getting Sam Home was made, the BBC also made a special edition of Only Fools and Horses, “To Hull and Back”. Like Getting Sam Home, it was made entirely on film, with no studio laughter, and was also not released theatrically, despite it being made like a film. The BBC dabbled at this concept, and I wonder how successful other comedies would’ve fared like this, such as “Some mothers do ave em”.